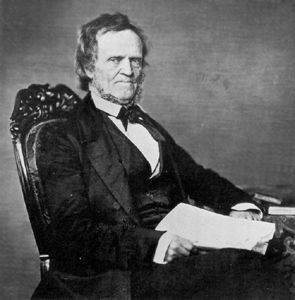 Above is a photograph of William Lyon Mackenzie who, along with Louis-Joseph Papineau, worked to bring about responsible government. 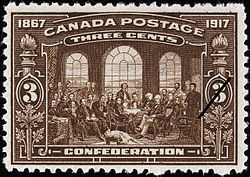 Neither William Lyon Mackenzie nor Louis-Joseph Papineau wanted Britain to take money the Canadas had levied from its citizens to attend to the needs of the Canadas. The Rebellions of 1837 started in Lower Canada in mid-November 1837, but no sooner did he hear about these that he too started to act. “[Samuel Lount] was born in Catawissa, Pennsylvania, United States, in 1791 and he came to Whitchurch Township in Upper Canada in 1811 with his family. He returned to Pennsylvania during the War of 1812, returning to Whitchurch in 1815. He briefly kept a tavern in Newmarket while doing work as a surveyor, but spent most of his adult life as a blacksmith in Holland Landing. As blacksmith, he helped to build the first steamboat on Lake Simcoe. 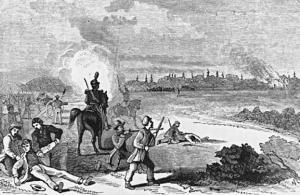 The Battle of Montgomery’s Tavern (Sketch of the battle based on a contemporary British engraving). Both were hanged on April 12, 1838. “Joshua Gwillen Doan (1811 – 6 February 1839) was a farmer and tanner who participated in the Upper Canada Rebellion of 1837. He was born in the Sugar Loaf area of the Niagara District in 1811 to a family of Quakers who had left Pennsylvania before the start of the War of 1812. He began farming and then became a tanner when his brother opened a tannery in 1832. During 1837, he became a supporter of William Lyon Mackenzie. On 9 December 1837, with Charles Duncombe, he organized a group of men to join Mackenzie’s revolt in Toronto, not realizing that the revolt had already been put down. On 13 December, they were dispersed by loyalist troops led by Colonel Allan MacNab near Brantford. Joshua escaped to the United States. In December 1838, he was part of a raid launched on Windsor by a group of refugees from the Rebellion known as Patriots. Several inhabitants and invaders were killed and a number of the Patriots, including Doan, were taken prisoner. He was hanged on 6 February in London, current Ontario. This is Owl’s Head as depicted by Cornelius Krieghoff, in 1856. By and large, during the many years Dutch-Canadian artist Cornelius Krieghoff spent in Canada, he did not often visit the Eastern Townships, now called l’Estrie, the region southeast of Montreal where seigneurs did not own land. 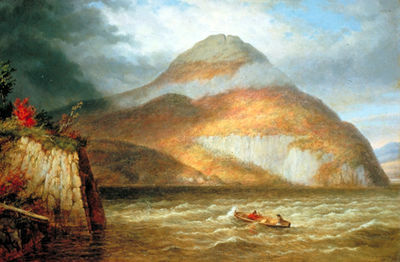 But he made a painting of Owl’s Head and Skinner’s Cove, on Lake Memphremagog. Owl’s Head is a small mountain. In the early days of Nouvelle-France, the seigneuries were narrow and deep properties situated on the shores of the St Lawrence River. 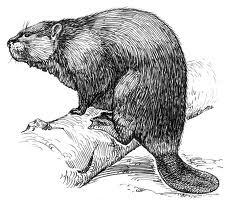 I should think that forestiers (lumberjacks) and coureurs de bois, harvested wood and fur in the Eastern Townships and that there may have been a few Canadiens parishes. However, the Townships were not settled systematically until 10,000 United Empire Loyalists fled the independent Thirteen Colonies out of loyalty to Britain. Some went to St John’s, New Brunswick, some to Kingston, in the current Province of Ontario, but a large number settled in the area of the Province of Quebec that would be called the Eastern Townships (les Cantons de l’Est). The Townships were a favorite destination for United Empire Loyalists. The Eastern Townships are a mountainous area. Its mountains are part of the Appalachian Mountains and therefore not very high or steep. The Appalachians were probably cropped and rounded by icebergs and other northern giants moving south in a pre-historic past. But although the Appalachian Mountains do not possess the high peaks of the Rocky Mountains, in Western Canada, they are nevertheless perfect for skiers in winter. Moreover, the region has several lakes and rivers. Closest to Sherbrooke, the main city in the Eastern Townships /l’Estrie, is Lake Memphremagog, where the Benedictine Abbey (Saint-Benoît-du-Lac) I wrote about in my Easter post is located. But Lake Memphremagog is also depicted in Krieghoff’s painting featured above (oil on canvas). But let us travel back in time. You may recall that the Quebec Act [i] of 1774, discussed in The Aftermath & Krieghoff’s Quintessential Quebec, made French-speaking Canadians full-fledged British citizens. Many Canadiens were happy to have escaped the French Revolution, the priests in particular. The same could be said of the seigneurs. Their life remained as it had been before 1763, the year New France was officially ceded to Britain, under the terms of the Treaty of Paris. Matters changed however with the arrival of United Empire Loyalists in the Province of Quebec and other British locations north of the Thirteen Colonies. Authorities had to make room for the United Empire Loyalists. Consequently, a large number of English-speaking settlers were given land in the Eastern Townships, now better known as l’Estrie. So the Quebec Act needed reconsideration and reconsidered it was. The year 1791 saw the enactment of the Constitutional Act, an act which Guy Carleton, 1st Baron Dorchester, KB (1724 – 1808) opposed. 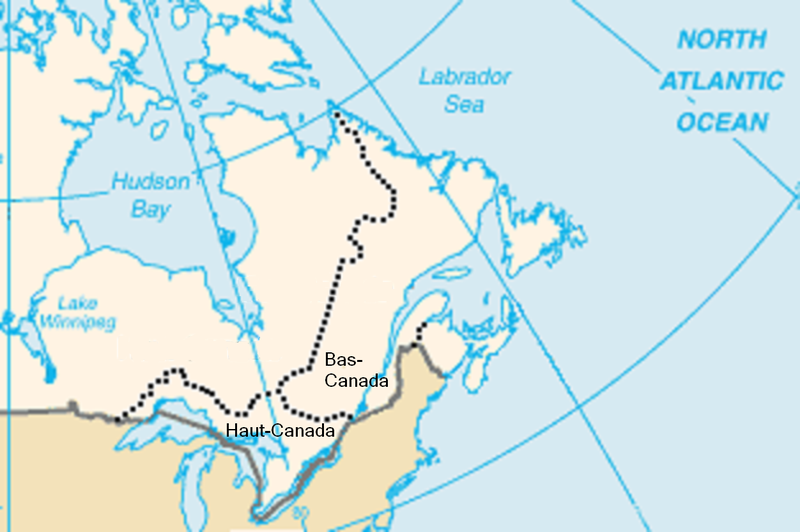 The former Province of Quebec was divided into two Canadas: Lower Canada, down the St Lawrence River, and Upper Canada, up the St Lawrence River and bordering on the Great Lakes. Lower Canada was nevertheless different than the Province of Quebec. For one thing, it was smaller. Moreover, the inhabitants of Upper Canada were predominantly English-speaking Canadians and those of Lower Canada, predominantly French-speaking Canadians. In other words, joined, the two Canadas would be a mostly English-speaking country. In short, in 1791, the Quebec act was replaced by the Constitutional Act which led to the division of the Province of Quebec into two Canadas. Everything seemed acceptable but, in 1837-1838, both Canadas rebelled. Lord Durham, John George Lambton, 1st Earl of Durham GCB, PC (12 April 1792 – 28 July 1840), was asked to conduct an enquiry and provide a report as well as recommendations. The Report led to the Act of Union “enacted in July 1840 and proclaimed in 1841.” (Wikipedia, “The Act of Union”). At this point, we pause so we can remember the essential facts. 1) In 1774, Canadiens inhabited a very large Province of Quebec, but 2), as of 1791, due to the arrival in the Province of Quebec of the United Empire Loyalists, the Province of Quebec was divided into Lower Canada and Upper Canada. 3) As a result, Canadiens lived in a smaller territory, but a territory which they felt was theirs. [i] A short term for a long title: An Act for making more effectual Provision for the Government of the Province of Quebec in North America (please see below). The province’s territory was expanded to take over part of the Indian Reserve, including much of what is now southern Ontario, plus Illinois, Indiana, Michigan, Ohio, Wisconsin, and parts of Minnesota. The oath of allegiance was replaced with one that no longer made reference to the Protestant faith. It guaranteed free practice of the Catholic faith. 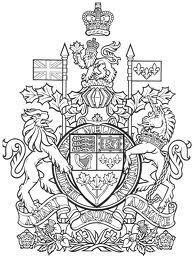 The Constitutional Act of 1791, formally The Clergy Endowments (Canada) Act, 1791 (31 Geo. 3. c.31), is an Act of the Parliament of Great Britain.